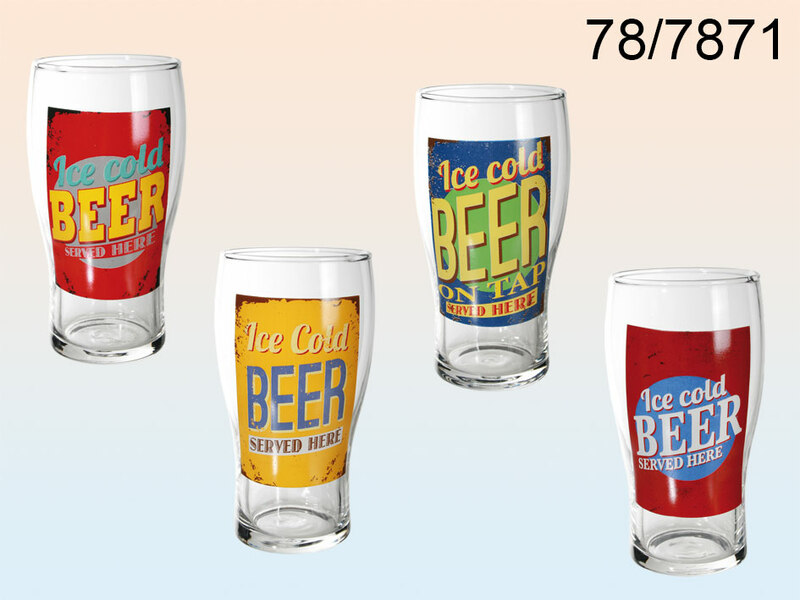 500 ml beer glass with retro style label that reads "Ice cold beer served here". Perfect for every beer lover. 4 nice colour versions available - assorted.